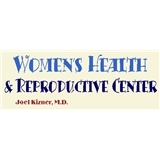 Women's Health and Reproductive Center (Los Alamitos) - Book Appointment Online! We are a comfortable, patient-centered practice that provides up-to-date OB/GYN care in the Los Alamitos/Long Beach area. We offer routine “Well Woman” care, pregnancy care, contraception counseling, STD testing, in office obstetrical ultrasound, individualized menopause treatment, and “in office” minor surgical procedures. We perform minor and major gynecological surgeries in inpatient and outpatient settings. We specialize in finding the least invasive way to treat common gynecological problems. Very nice man, answers any questions you have, is personable. The office staff are also very upbeat and helpful.